From Noam Wassermans "Founders Frustrations" Blog. Noam Wasserman is a professor in the Entrepreneurial Management unit at Harvard Business School. 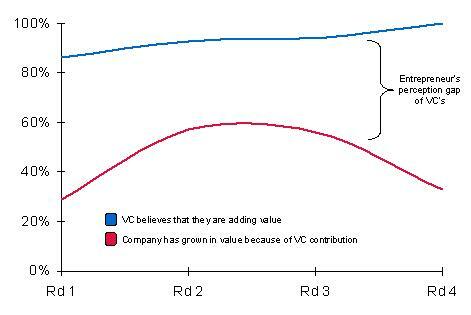 Noam's blog is a great read for entrepreneurs looking to understand how to structure ownership in a startup or why investors think they're adding more value than the entrepreneurs running the business. Here's nifty chart.